Les Filles en Fleur: Les Fills en Fleur on Tatler! Les Fills en Fleur on Tatler! Spring in London is the hight of the year. Amongst the many events happening during the season is the The Children's Trust Charity Ball. 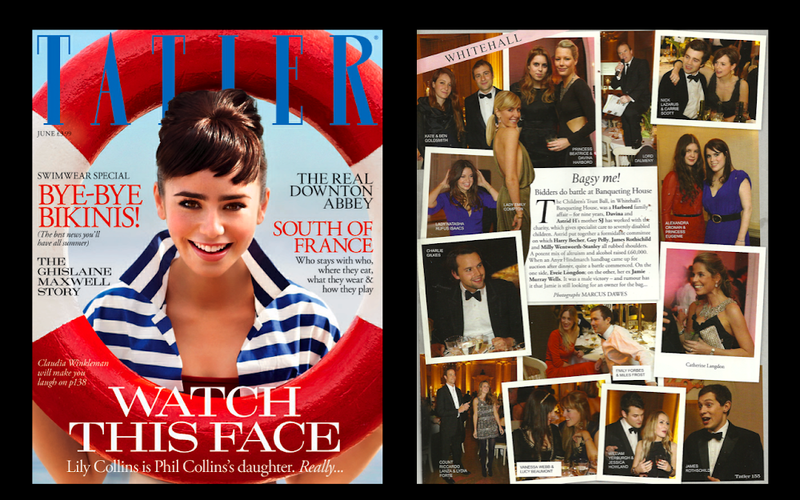 Captured in the pages of Tatler is my partner Alexandra Cronan in our show stopping red V Dress and host of the evening Davina Harboard wearing the Gabriella Dress.